Trying to find blinds that go with your interior but not finding anything that fits? Why not match your blinds with your upholstery or wallpaper! It’s a great way to tie together a room without over loading with too many patterns or colours and with Luxury Blinds Direct, it couldn’t be simpler to do. It’s so simple to do; if you have some wallpaper or fabric left over, simply scan in the design to your computer and upload it as a photo blind to Luxury Blinds Direct. This is the best way to get the design as close as possible – if you take a photo of your wallpaper or upholstery instead of scanning it in, you could end up with slightly different colours of blinds due to different lighting in your room, so we don’t recommend a photo if you can avoid it! We’ll then send you an initial design of your blind for you to check over and request any changes you might like before you commit to anything. At this point you can look at the preview of your designed blind and check whether you would prefer a border, or to have the design placed in a certain way or patterned around the blind – it’s really up to you. Once you’ve decided on a blind, it’s time to have the professionals come in and measure your windows – we don’t want you to go through the process and end up with blinds that don’t fit, so we always have a professional to come to your home and measure your windows and discuss your blinds before you finalise your order. After that, all you have to do is wait a little while your beautiful new roller blinds are being printed and posted to your professional installer, who will then come to your home and install the blinds for you. With Luxury Blinds Direct we take out all the worry of getting your perfect blinds with professionals to help you all along the way. Have you created wallpaper or upholstery matching blinds? 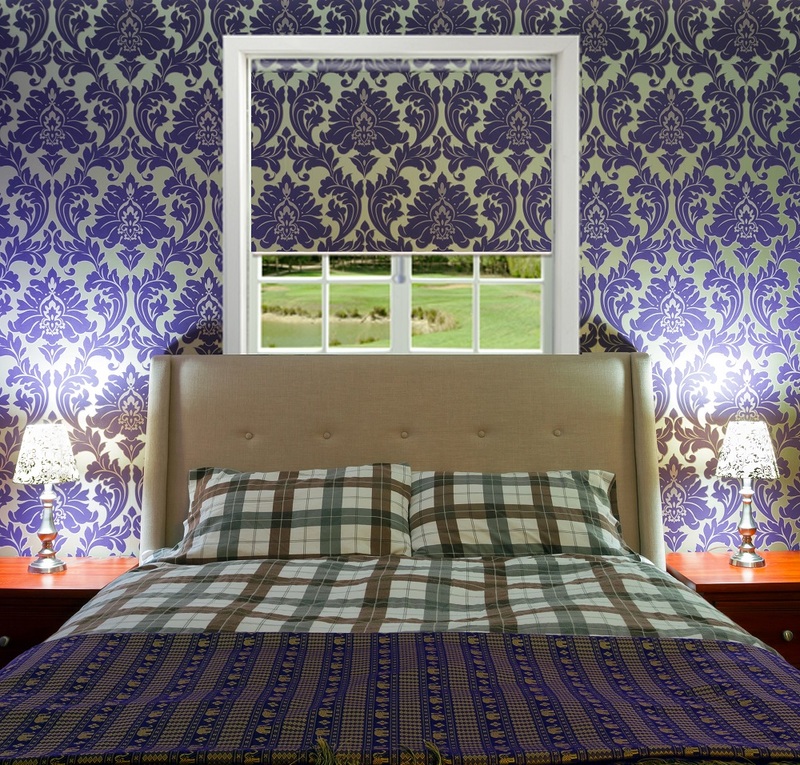 Or have you had any ideas of how you would like to design your blinds? We’d love to hear them! Please let us know below or contact us if you have any questions.